Dallas, Tx, May 9, 2017 – The American Marketing Association, Dallas-Fort Worth Chapter – short AMA DFW – recognized SeikoVision as the “DFW Marketer of the Year 2016-17” during its annual Marketer of the Year Awards Gala in Dallas. The Marketer of the Year award honors exceptional marketing performances by companies, organizations and agencies in the Metroplex. SeikoVision was selected by the judging panel from among thirteen announced best-in-category winning organizations. The eyewear manufacturer had been named best-in-category for healthcare marketing as first step towards becoming the most recent Marketer of the Year. With the title, the jury recognized SeikoVision’s innovative infographic platform and marketing campaign developed by the Irving based digital marketing agency Mojo Media Labs. Scores by a local judging panel consisting of senior marketing professionals and university educators determined the best-in-category winners revealed during the night, namely Dallas Zoo / Alchemy at AMS, Flexjet / Enilon, Fossil / DMA United, Gordos Cheese Dip / Huddle Promotions, Lewisville Chamber of Commerce / Mixed Media Creations, monkeytag / monkeytag, Naturally Slim / Spire, Promise House / Fleishman Hillard, Steven A Cohen Military Family Clinic at Metrocare / Fleishman Hillard, SeikoVision / Mojo Media Labs (double category winners), ST.N16K / Spire, Texas Capital Bank / Spire and Vizient / Golin. To check out all of the night’s winners, head over to the Marketer of the Year site. The evening’s honoree and keynote speaker was Rhonda Shasteen, former Chief Marketing Officer at Mary Kay Inc., who has been presented with AMA DFW’s “Lifetime Achievement Award” for driving the worldwide marketing and branding strategy for Mary Kay over 26 years alongside Mary Kay Ash, one of the greatest American entrepreneurs of the 20th century. Shasteen received the inaugural award from Mary Kay’s current CMO, Cheryl Adkins-Green. Teasdale Latin Foods’ Chief Marketing Officer, Cale Nelson, has been announced: “CMO of the Year 2016-2017” for his outstanding achievements and leadership. Jessica Munoz from the University of Texas in Dallas has been awarded “Collegiate Marketer of the Year 2016-2017”. 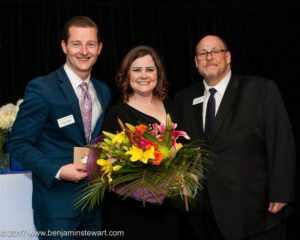 For a complete list of this year’s award winners and photos click moy.dfwama.com. “The AMA DFW truly appreciates the support of our sponsors and we are proud to host this event,” said Chapter President, Tom Dennis. 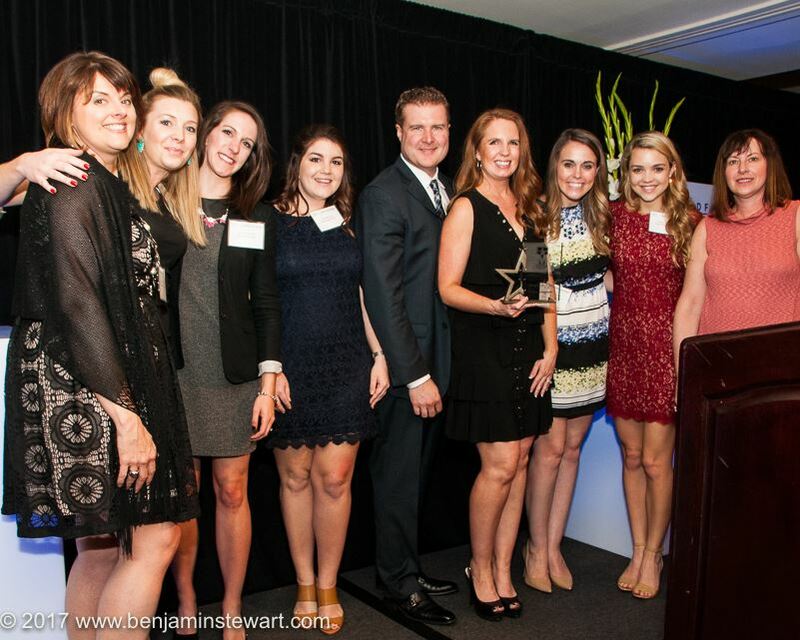 “This annual awards highlight of the chapter recognizes many of the leading companies based in the Dallas – Fort Worth Metroplex, who exemplify ‘best-in-class” marketing.” Past Marketer of the Year winners includes recognized the Mustang Heritage Foundation in 2016, Poo-Pourri in 2015, Kalkomey Enterprises in 2014, Alcatel-Lucent in 2013 and Main Event Entertainment in 2012. The AMA DFW’s media partner for the gala was the Dallas Business Journal. Major event sponsors were Legacy Texas Bank, Kickbox, Mojo Media Labs, Cosmic JS and Benjamin D. Stewart Photography. Check out all the photos from the party on our Facebook page. Want to learn a little more about the AMA DFW?